In these Terms and Conditions "we" and "us" mean DIY Invitations ABN 35 810 319 716 of 182 Newton Road, Wetherill Park, NSW 2164 Australia, and "you" means you the customer. These Terms and Conditions together with your Order constitute the entire Contract between us and you for the supply of Products. No other Terms and Conditions will apply. The Contract cannot be varied unless we agree to vary it in writing or by email. All sale items are strictly sold on a “while supplies last” basis... no rainchecks are offered on sale items. If you are under the age eighteen (18) years you can not place orders with DIY Invitations. By accepting these Terms and Conditions you acknowledge that you are over the age of eighteen (18) years. Should DIY Invitations suffer any damage or other losses as a result of a transaction entered into by a minor, DIY Invitations reserves the right to seek compensation for such losses from the parents or guardians of the minor who caused any order(s) to be placed with DIY Invitations. You may place an Order by filling in the Order Form on the DIY Invitations Web Site and clicking the "Submit Order" button. When you place your Order, we will issue you with an Confirmation Order Number. We will do this by email. By placing an Order, you make an offer to us to purchase the Products you have selected based on these Terms and Conditions. Information contained on the DIY Invitations website constitutes an invitation to treat. No information on our website constitutes or should be deemed as an offer by us to supply any Products, however DIY Invitations will make every effort to supply Products to you. We will notify you that your order is being processed by sending you an Order Confirmation and tax invoice via email, however, we do not formally accept your offer until your order has passed our internal validation procedures for verifying the bona fides of each order placed, for the purpose of preventing credit card or payment fraud. DIY Invitations and its affiliates reserve the right to refuse service, terminate accounts, remove or edit content, or cancel orders in their sole discretion. We will confirm acceptance of your order when we send you an email confirming shipment of the goods you have ordered. DIY Invitations purchases include GST unless otherwise stated on a Product listing. 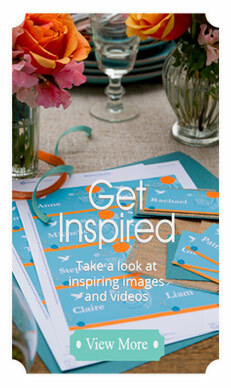 DIY Invitations always seeks to list Products with the most competitive prices (all prices are in Australian dollars.). DIY Invitations reserves the right to change prices for Products displayed at DIY Invitations at any time. Subject to these Terms and Conditions, we will supply to you the Products indicated on your Order Confirmation. When your Order items have been dispatched, we will email you to confirm shipment of each item including a tracking number for each item. On rare occasions a raw material may be out of stock. In such cases, we will notify you immediately with your alternatives. Delivery time varies according to your physical location in Australia. We use common carriers to deliver your goods and require the shipping address you use to have a person available to sign for the goods during normal business hours. NO PO Boxes. All of our goods ship from Sydney, please take into consideration the likely delivery lead time for shipping. 1-2 days Sydney, Melbourne, Adelaide, Brisbane, 2-5 days for regional areas, 5-7 days for Perth, 7-10 days to remote areas. DIY Invitations makes every effort to deliver your Product according to the estimated delivery times provided above. The estimated delivery times are in business days (Monday through Friday) excluding Public holidays. Although every effort is made to ship your Order according to the estimated delivery times provided, estimated ship times may change due to changes in supply or circumstances beyond our control. If your Product has not arrived after the estimated delivery time, please track your delivery via the tracking information we provide, contact us here if you still require any further help. Unless otherwise agreed by us, we will deliver your Products to the address indicated on your Order Confirmation. If no-one is available to take delivery of your Products, our carrier will attempt two deliveries and leave a card so you can pick-up your Product from a regional depot. Where delivery is by our courier service and no-one is available to take delivery, they will leave a card requesting you to telephone them to arrange a suitable time and date for delivery. We will use our reasonable efforts to deliver your Products to you within the estimated delivery time indicated on your Order Confirmation; however, we do not guarantee that we will deliver within this time frame. Title and risk of loss to all Products will pass to you on delivery. "Promotional Codes” or “Discount Codes"
DIY Invitations in its absolute discretion may from time to time provide discount Coupons to existing and/or new customers. Coupons can only be used towards the payment of Products on our website. Coupons can only be used in accordance with the Terms and Conditions under which the Coupons are issued. Any Terms and Conditions governing the use of a coupon will accompany that Coupon. DIY Invitations will determine the content of Terms and Conditions governing Coupons in its absolute discretion. Where a Coupon is used towards the payment of a Product (or Products): There may be an outstanding balance due on the Product; and you must thereafter pay any outstanding balance due on the Product by Visa or MasterCard. Under the DIY Invitations Limited Warranty we may credit "Your Account" with a Refund Credit from time to time. DIY Invitations will only provide Refund Credits under the Terms and Conditions detailed under "Your Rights To Return A Product". Refund Credits will majority of the time be refunded back either to the visa or mastercard used in original purchase or to the customers Bank account. Where the original order was placed over the phone a Refund Credit can be used against another order for a Product (or Products): There may be an outstanding balance due on the Product; and you must thereafter pay any outstanding balance due on the Product by Visa or MasterCard. We understand that special circumstances, such as a venue or date change, may occur. If you are faced with these special circumstances, please consider one of the following options. No refunds, credit or replacements are offered if you have changed your mind about the product, make an incorrect choice when placing an Order. A DIY Invitations Product is considered Damaged or Faulty when it is discovered to be damaged or broken when first taken from its packaging. A DIY Invitations Customer Service member will provisionally determine whether the Product is damaged. The quickest way to do this is to send an email with a couple of digital photos of the damage attached. Where a Product is provisionally determined as damaged we will arrange to replace the Product. Refunds will only be offered where a replacement Product can not be provided. Where DIY Invitations has provisionally determined that a Product is damaged, return shipping will be arranged at the expense of DIY Invitations. If the Product is deemed by Customer Services NOT to be damaged, DIY Invitations may in its absolute discretion refuse to replace the Product or offer you a refund for the Product. When a Product is replaced, your replacement Product becomes your property and the returned damaged Product becomes our property. When a refund is given, the returned damaged Product becomes our property. If the condition of the Product was misrepresented to us by the customer, DIY Invitations will impose a $30 handling and administration fee. You have 14 days to notify DIY Invitations of an issue regarding a delivery. Please open and inspect your invitations in detail and notify us if there are any issues. Where we agree to replace the Product or refund you the purchase price of the Product, you must first return the defective Product to us. You will be obliged to pay for the return of the Product if the item is sent after 30 days from dispatch. Otherwise, we will make arrangements with you for the return of the Product at our cost. The delivery time for replacing the Product will be the same as stated for the original Product. By placing your Order, you agree that we may store, process and use data collected from your Order Form for the purposes of processing your Order. If you so indicate on the appropriate section of your Order Form, by placing your Order you also agree that we may use such data, other than credit card details, in order to provide you with information from time to time on other DIY Invitations Products that may be of interest to you. If you do not agree to our using such data in order to provide you with information on other DIY Invitations Products, you should indicate your non-agreement on the appropriate section of your Order Form. You may obtain a copy of the data held by us concerning you on request in writing. We reserve the right to charge an administration fee for processing such request. If any data held by us concerning you is incorrect, we will correct it on your written request. Please refer to our Privacy Statement. You will retain ownership of such User Submitted Materials, and you grant DIY Invitations and its designees a worldwide, non-exclusive, transferable, royalty-free, perpetual irrevocable right and license, with right of sublicense (through multiple tiers), to use, reproduce, distribute (through multiple tiers), create derivative works of and publicly display such User Submitted Materials solely in connection with the provision or production of any product or service by DIY Invitations. You represent and warrant that you own or otherwise possess all necessary rights with respect to the User Submitted Materials, and that the User Submitted Materials do not and will not infringe, misappropriate, use or disclose without authorization or otherwise violate any copyright, trade secret right or other intellectual property or property right of any third party, and that the User Submitted Materials are not unlawful, fraudulent, threatening, abusive, libelous, defamatory, obscene or otherwise objectionable. None of the User Submitted Materials will be subject to any obligation of confidentiality, attribution or otherwise on our part or on the part of any of our assignees, sublicensees or designees, and neither we nor our assignees, sublicensees or designees will be liable for any use or disclosure of any such User Submitted Materials. You agree that we may (but are not obligated to) filter any User Submitted Materials (including, without limitation, deleting or replacing expletives or other harmful or offensive language), alter or refuse to use any User Submitted Materials (including, without limitation, suspended processing and shipping of any order relating to any User Submitted Materials) and/or disclose any User Submitted Materials and the circumstances surrounding the use thereof, to any third party in order to provide the applicable products or services, to protect ourselves or our affiliates, distributors, partners, licensors or other third parties, to comply with legal obligations or governmental requests, or for any other reason or purpose. Whilst DIY Invitations employs the latest in Secure Sockets Layer (SSL) technology software for its transactions with our customers, DIY Invitations will not be responsible for any damages, consequential losses (whether direct or indirect) suffered by a customer whose credit card is fraudulently used or is used in an unauthorised manner. You shall not assign any rights and obligations under these Terms and Conditions whether in whole or in part without the prior written consent of DIY Invitations. Any unauthorized assignment shall be deemed null and void. If any provision of these Terms and Conditions is held by any competent authority to be invalid or unenforceable in whole or in part, the validity of the other provisions of these Terms and Conditions and the remainder of the provisions in question shall not be affected thereby. Under the Trade Practices Act 1974 ("Act"), where implied conditions and warranties cannot be excluded, any liability in DIY Invitations for breach of such conditions and warranties (other than a condition or warranty implied by section 69 of the Act) shall be limited, at the option DIY Invitations, to the replacement of the Product(s) or the re-supply of the same Product(s); the payment of the cost of replacing the Product(s) or of acquiring equivalent Product(s). Neither our failure nor your failure to enforce any Term or Condition constitutes a waiver of such Term or Condition. Such failure shall in no way affect the right to later enforce such Term or Condition. DIY Invitations reserves the right to change the Terms and Conditions of sale at any time. No DIY Invitations employee or agent has the authority to vary any of the Terms and Conditions governing any sale. DIY Invitations shall not be liable for any delay in performing any of its obligations under these Terms and Conditions if such delay is caused by circumstances beyond the reasonable control of DIY Invitations, and DIY Invitations shall be entitled to a reasonable extension of time for the performance of such obligations.